Play as either of the duo to pinch some of the worlds most expensive objects. Break out the black gloves, lay out the masks, it’s the middle of the night and you’re dangling 20 feet above a stone floor in the middle of a heist. Shadow and Huxley are two extraordinary cat burglars and they’re proud of it. Ready to get their feline claws on only the most valuable riches the world has to offer by any means necessary. If there’s an unguarded corner or unbolted door they’ll find it! 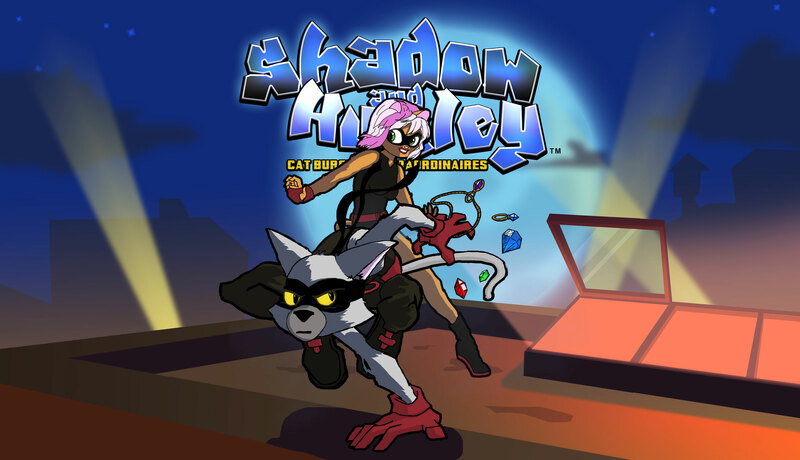 Play as either Shadow the lighthearted jokester or Huxley the professional feisty connoisseur of comfort and jewels. A stealth action game where crime DOES pay. Go where you’re not supposed to, and take what isn’t yours. Test your wits against guards and henchman, Which corridor do you head down? What distraction can you create? Use the environment to your advantage, become fluent in the puzzle you find yourself in and move seamlessly to your loot. Then disappear again as though no one was there.